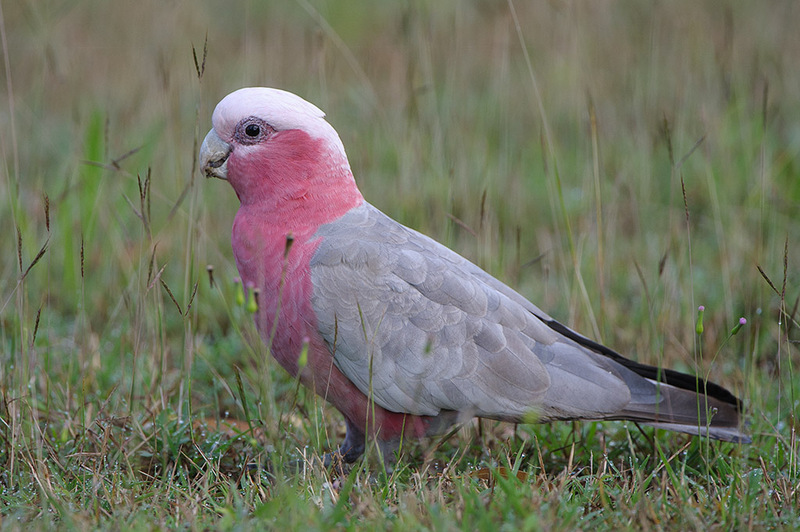 Today is Australia Day, so I am writing about a very common Australian parrot that I see almost every day, the galah. These beautiful members of the cockatoo family grow up to 40 cm long. They are very noisy and can gather in flocks of up to 1,000 birds, spending most of their time on the ground looking for seeds to eat. They are very playful and intelligent. Galahs mate for life and lay 2-6 eggs in a tree hollow. Galah comes from the word “gilaa” which comes from the Yuwaalaraay language. In Australia, we call people galahs if they are acting silly or do something foolish. Galahs are the most widespread and common cockatoo in Australia and can be found in a wide range of habitats except for dense forests. Are there any other interesting facts that you would like to share about galahs?